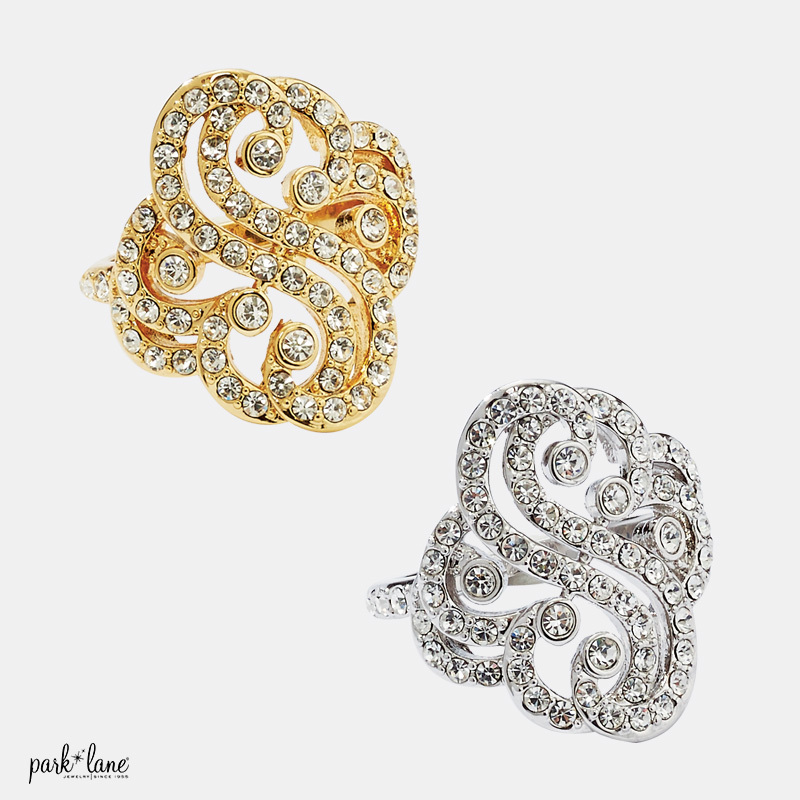 Sparks fly from the crystal-encrusted swirls that top this amazing ring. 1”diameter. Specify gold or silver finish. size 6-10.